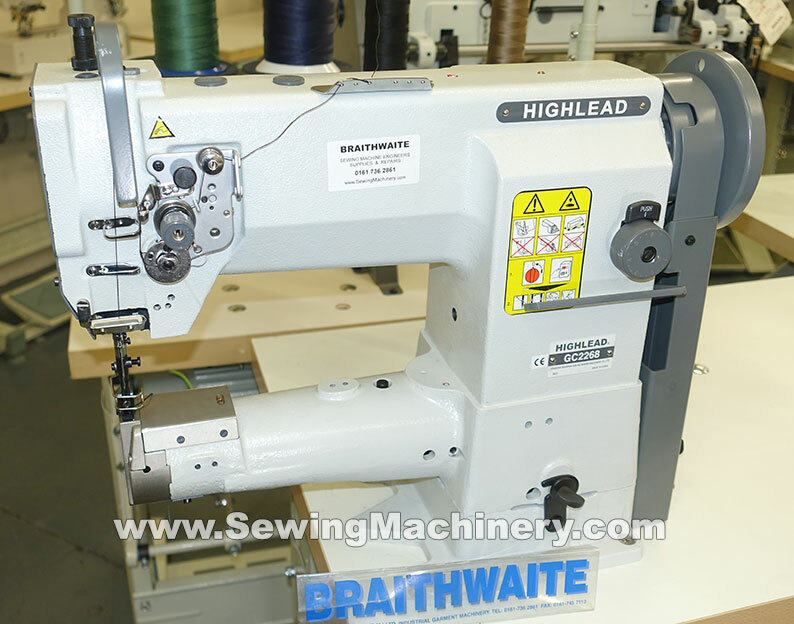 Highlead GC2268 compound feed, cylinder arm, heavy duty walking foot sewing machine (bottom feed, needle feed and walking foot feed) with large vertical axis hook & base. The GC2268 features a 71mm diameter heavy duty cylinder arm shape for use in production of 3 dimensional items. For example: general leather products, bags, satchels, luggage, filters, seats, straps, technical textiles, upholstery and wherever you need a cylinder arm shape. 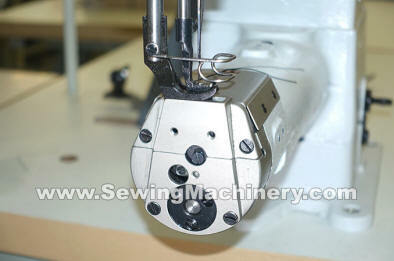 The large vertical axis hook and bobbin offers twice the normal thread capacity, reducing bobbin change over and ideal for use with thicker threads. A wide range of sewing threads can be used up-to metric size 20* synthetic thread (or size 30* cotton thread) including 60, 40, 30 + V46, V69, V92 & V138* heavy duty threads etc.